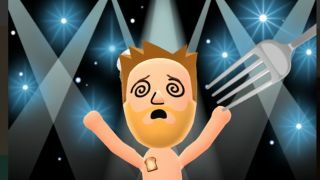 For those who still have the Miitomo app installed, it’s not going to disappear from your phone completely – you just won’t be able to use any of its features, and if you try to open the app after May 9 you’ll receive a notification telling you as much. Nintendo has already stopped selling the in-app currency Miitomo Coins, and when the app shuts down the company has said it will refund users for any coins they purchased and weren’t able to use. It’s hard to believe it’s been almost two years since Miitomo was launched; perhaps that’s because after its first couple of months we didn’t really think much about it. It was a weird proposition, and much more of a social experiment than a traditional mobile game. In May 2016, just two months after its release, surveys suggested that of the 10 million people who had initially downloaded the app only 2.5 million were still actively playing once a week. That’s a swift decline, so perhaps it’s not all that surprising that the app has met what feels like an equally swift end. We’ve also noticed that since the release of the Switch, Nintendo appears to be focusing far less on Mii characters, and all of its mobile games since Miitomo have been seizing on the company’s popular IPs. Perhaps we should have seen this coming long before now. For those still invested in Miitomo's world, there's going to be a 'Final Thank You Festival' in the run-up to its closure, with daily bonuses.